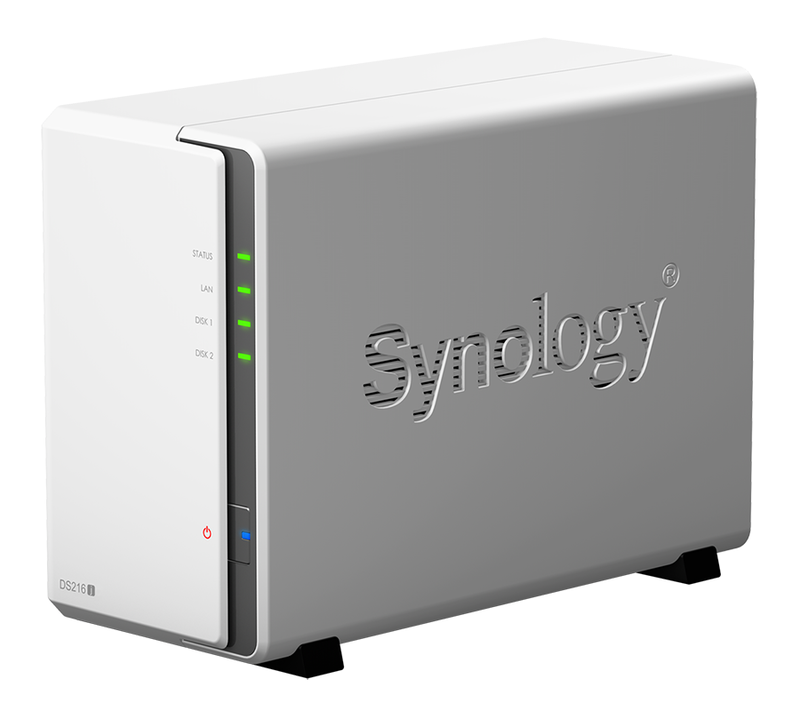 Synology has added to its range of popular network-attached storage (NAS) solutions with the launch of the DS216j. 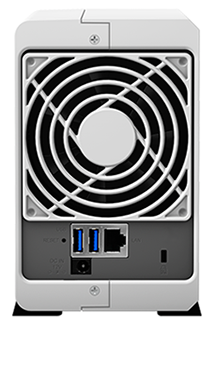 Introduced as a dual-bay successor to the well-received DS215j, this year's revised model offers all the goodness of its predecessor augmented with a fractionally more powerful 1GHz dual-core processor. Designed to be one of the best value two-bay servers available, the DS216j carries a modest £140 price tag and serves as an attractive entry point for NAS newcomers looking to explore the benefits of in-home deployment. 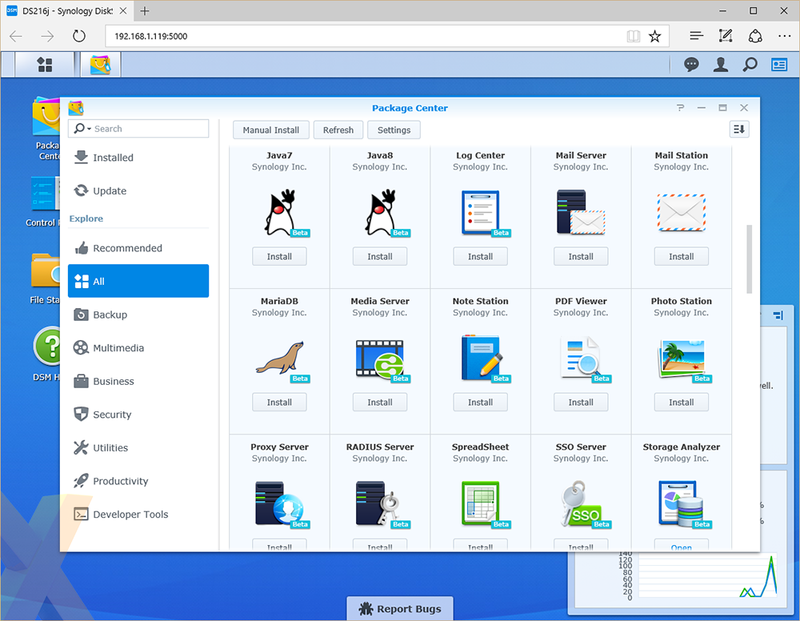 With that usage scenario in mind, Synology's familiar enclosure appears suitably sleek and modern. 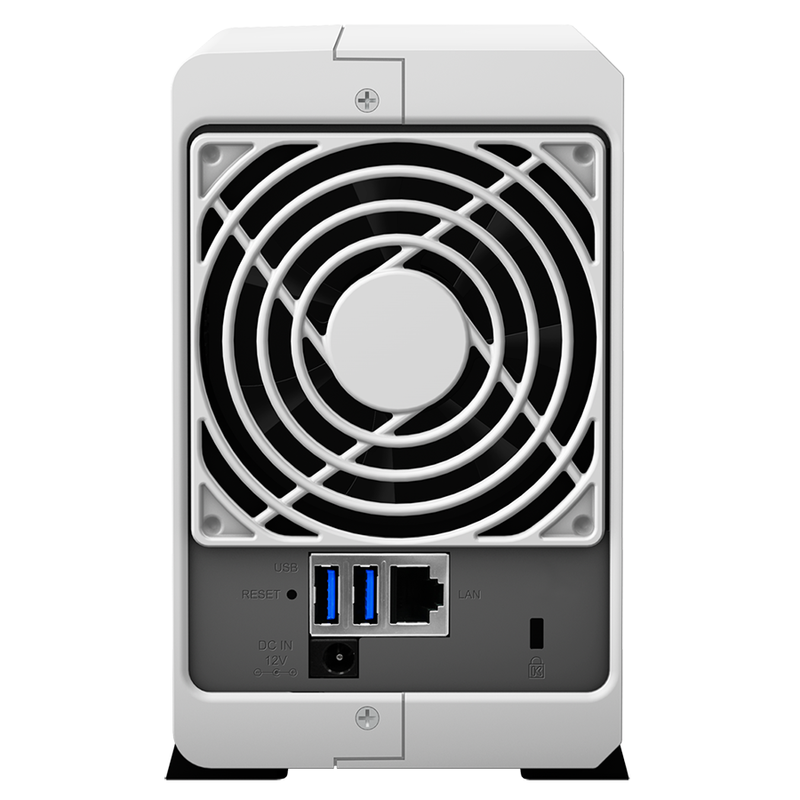 The plastic chassis employs a glossy white finish with grey trim, and in a market in which NAS units are typically staid affairs, the DS216j is relatively pretty. The front of the box is lined with a power button and a series of activity LEDs, and if you're going to be setting up the box in the living room or bedroom you'll be pleased to hear that the LED brightness can be adjusted or turned off via a user-defined schedule. 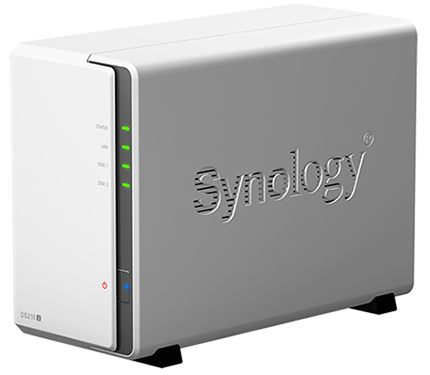 There are no quick-access ports on the front of the unit, with Synology opting to tuck all the connectivity options around back. Keeping things simple, the selection includes two USB 3.0 ports, a connector for the external power supply and a single Gigabit Ethernet jack. These sit below the unit's one-and-only fan, which runs very quietly and has obviously been configured to keep noise levels down to a minimum. The 165mm x 100mm x 225.5mm enclosure can be described as both clean and simple. There are no pull-out drive trays for frequent maintenance, but that isn't the idea - Synology is aiming for home users who will install their disks and then rarely, if ever, return to the box. Even without pull-out trays, drive installation is hardly a chore. The chassis slides open with ease, revealing two 3.5in bays. 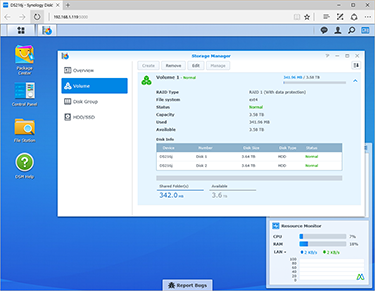 Note that an optional 2.5-3.5in drive tray may be needed to properly install SSDs, and it's a shame Synology doesn't include any adapters in the box. On the plus side, the 3.5in mounting points are lined with small strips of rubber to help soak up drive vibration, and the same applies to the fixing screws. Provisions haven't been made for user-upgradeable components, though the default combination of a 1GHz dual-core Marvell Armada 385 processor and 512MB of DDR3 memory should be sufficient for the target audience, while power efficiency ought to be excellent. 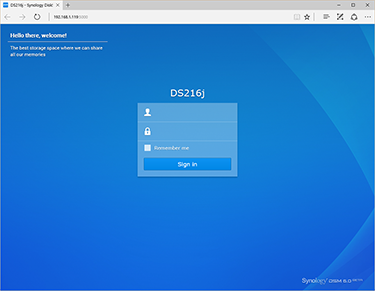 DS216j will ship with the latest version of Synology's award-winning DiskStation Manager (DSM) 5.0 operating system, but the NAS arrives at an interesting time as DSM 6.0 is now just around the corner. The new software has been fine-tuned throughout an open beta program, and with an official release imminent, we've been able to test drive DSM 6.0 in near-final form. First impressions? Well, this is the DiskStation Manager we know and appreciate, and at first glance you might be struggling to see what's actually changed. Sure, the already-polished user interface looks even sleeker, but on the whole it feels very familiar, which is undoubtedly a good thing. It's on closer inspection that you begin to realise that DSM 6.0 is a case of lots of fine-tuning as opposed to an unnecessary overhaul. And there are tweaks aplenty. Shared file links can now be used to share content with friends or colleagues with DSM credentials, a Document Viewer lets you preview Office files from within the browser, and a new full-content search engine should make it easier to find the file you're looking for. Video Station has been redesigned with support for offline transcoding, Photo Station has introduced a watermark option and tighter CMS integration, while Note Station is enhanced via a Google Chrome extension that enables simplified web clippings. The Package Centre (i.e. app store) continues to grow, and SpreadSheet is an interesting addition that lets users collaborate on spreadsheets created and saved on the server. The enhancements serve to make one of the best NAS operating systems even better, and Synology does well to keep adding features without the software feeling bloated or confusing. 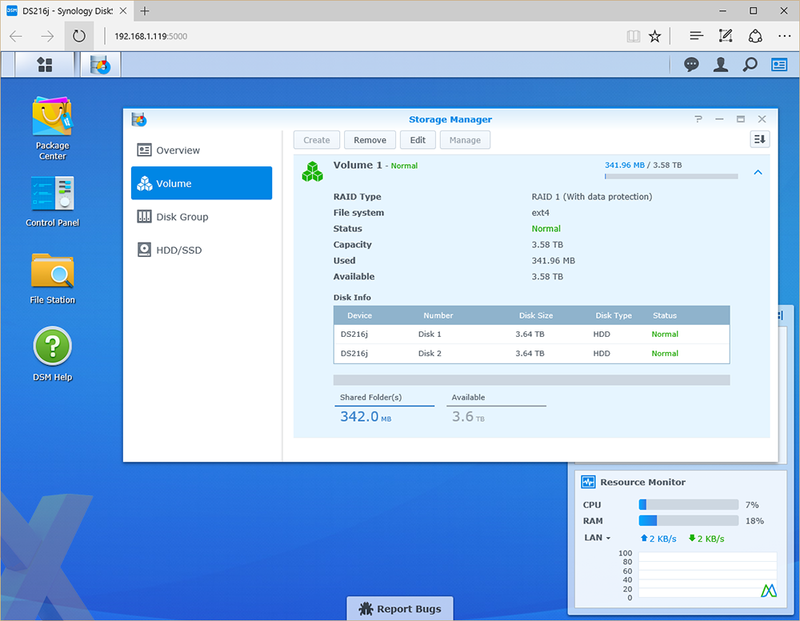 The initial configuration is particularly user friendly, and for home users seeking a centralised data store and a versatile media server, DSM 6.0 should prove easy to work with. 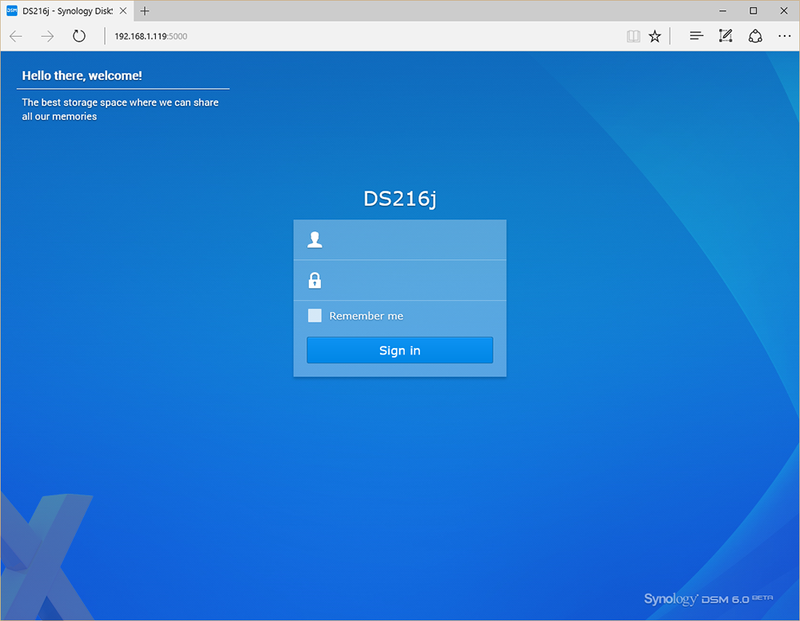 Looking beyond the intended usage scenarios of the DS216j, Synology's DSM 6.0 software will also bring more powerful features to business NAS solutions. 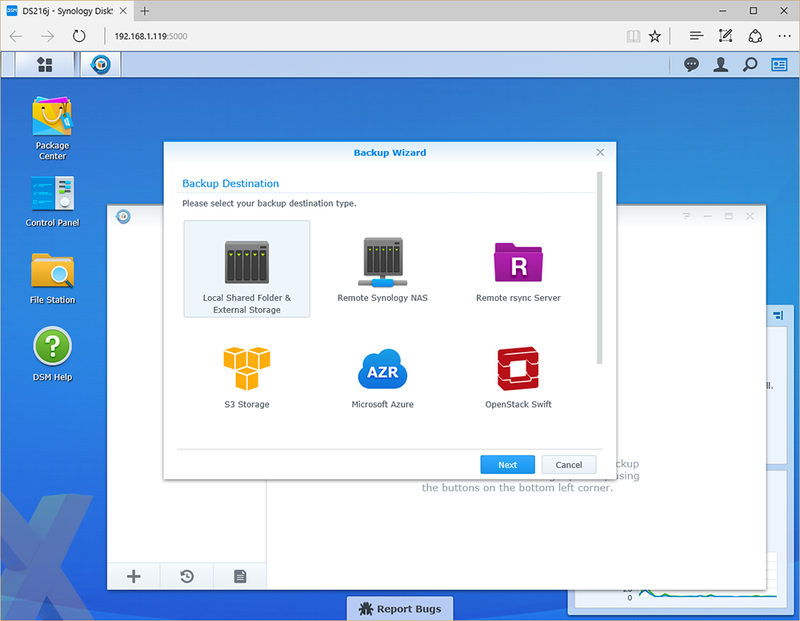 These include virtualisation, a built-in MailPlus server, as well as snapshot and replication support with the Btrfs file system.